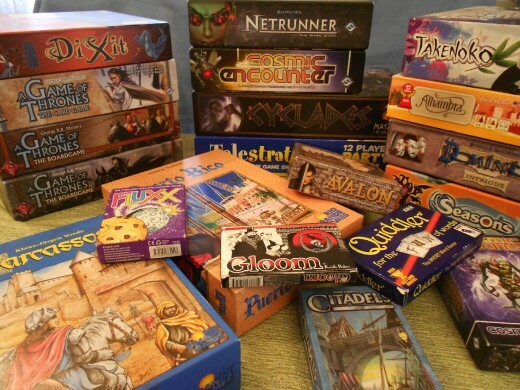 We play mostly strategy games, from light casuals like Machi Koro and Carcassonne to heavier contenders like Terra Mystica and Alchemists (as opposed to family games like Monopoly and Uno or party games like Charades). Everyone is welcome, even if you haven’t played these kinds of games before! We love to teach and introduce new people to the hobby. If you're not familiar with these kinds of games, or with a particular game, teaming up with a more experienced players can be a great way to get your feet wet and learn while playing.